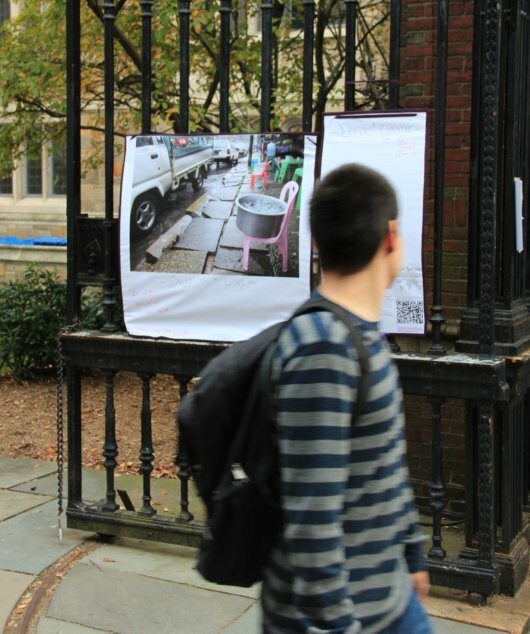 Rainy Day Chairs from Myanmar were hung on Cross Campus at Yale University. 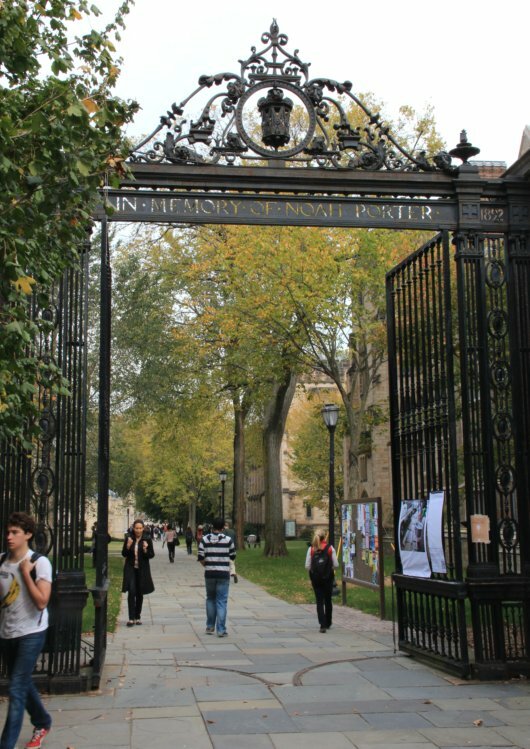 Cross Campus is the main artery of the campus for classrooms, dining halls, dorms and libraries. 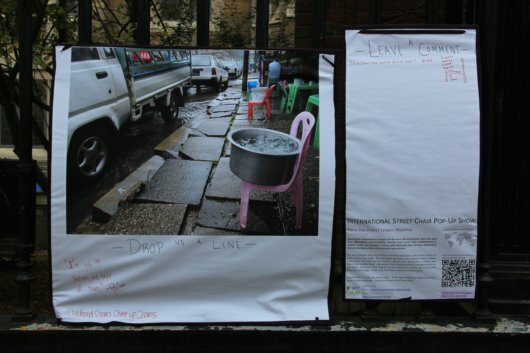 In Myanmar, restaurant owners use these chairs to harvest rain water. Is a chair not sat on still a chair? 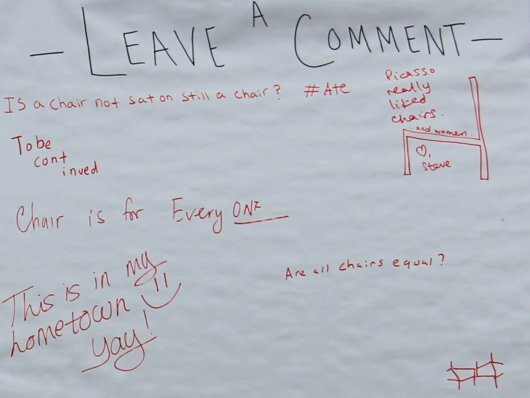 Are all chairs equal? This is my hometown! This post is part of the International Street Chair Pop-Up Show.